It has been an awkward week for the US Democratic Party leadership. In an attempt to take a stand against anti-Semitism they fumbled the moment, leaving the party divided, emboldening the Republicans and burying any sincere discussion of US-Israeli relations. And that's a debate the US urgently needs to have. It all began with a controversial statement from freshman Representative Ilhan Omar, a left-wing progressive and one of the first two Muslim women in Congress. In a small gathering at a bookstore, she told supporters that the pro-Israel lobby in the US is pressuring politicians to pledge "allegiance" to a foreign nation. Critics quickly blamed her for using a veiled anti-Semitic trope: the accusation that Jews have "dual loyalty," both to their home country and to Israel. It's not the first time the young congresswoman has been reprimanded for supposedly anti-Semitic remarks in the two months since she's been in office. In February, she said the US Congress — which overwhelmingly supports Israel's right-wing government — is only pro-Israel because it gets money from lobby groups like AIPAC, the American Israel Public Affairs Committee. She later apologized for that statement. This time, however, she doubled down. "I should not be expected to have allegiance [or] pledge support to a foreign country in order to serve my country in Congress or serve on committee," she tweeted on Sunday. Omar's refusal to apologize prompted prominent Democrats like Jerry Nadler and House Speaker Nancy Pelosi to draft a resolution that would condemn her statement as anti-Semitic. The party's centrist leaders may have been pleased with themselves, but they didn't anticipate the backlash that would come from the growing progressive movement within the Democratic Party, which idolizes Omar and her closest ally, Representative Alexandria Ocasio-Cortez, like rock stars. The major complaint was this: Why are the Democrats singling out Omar, a Muslim, and herself the victim of Islamophobic jeers and death threats? Why don't they draft a resolution rebuking US President Donald Trump for a campaign ad juxtaposing his rival Hillary Clinton with an image of the Jewish Star of David and a stack of dollar bills? Where is their unified voice when Trump repeatedly insinuates that a liberal, Jewish billionaire — George Soros — is single-handedly orchestrating fake protests and forcing pro-immigration policies on Europe and the US? There is evidence, after all, that Trump's rhetoric has already inspired violence against Jews in the US. So, what happened? The Democrats drafted a resolution, describing the "dual nationality" trope as offensive, but without naming Omar in the text. On Tuesday, they announced they would rewrite the text, adding a clause to the resolution condemning Islamophobia and all forms of hate. On Wednesday, they announced they would postpone the vote on the resolution indefinitely. At this point, Trump tweeted: "It is shameful that House Democrats won't take a stronger stand against anti-Semitism." As if he ever has. Finally, on Thursday morning, the Democrats announced they would vote on the bill after all. But during floor debates, one by one, new identities and traditional targets of hate were added to the resolution: Native Americans, Hindus, Sikhs, the LGBTQ community and several more. The resolution was approved with unanimous Democratic support. But does anyone think this perplexing performance has made Jews in the US and abroad any safer? Have we had a conversation about why some of the most truly anti-Semitic politicians in Washington unequivocally support Israel? Or why the US, supposedly resolute in its stance against oppression, continues to veto United Nations resolutions against Israel's apparent human rights abuses in Gaza? No. Once again, we've avoided this conversation. We've only learned that the Democratic Party leadership is incapable of taking a stand because they don't know what they stand for. They don't have a definition of anti-Semitism that distinguishes white supremacists from Palestinian-rights advocates. And they used one of the party's youngest, most progressive members to score easy morality points. But it turns out they calculated wrong. They didn't reckon with an insurgent left wing that has an enormous social media presence, capable of reaching millions of devoted fans within seconds. And, perhaps, they may finally have to face questions about why they support a right-wing government in Israel that isn't supported by most Democratic voters. 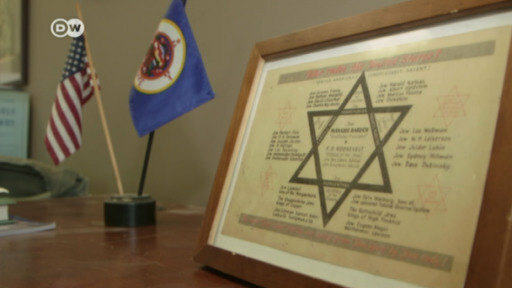 The recent remarks by Minnesota Congresswoman Ilhan Omar have sparked a new discussion about anti-Semitism in the US. But in her home district, her constituents are firmly on her side – as DW's Alexandra von Nahmen found out.